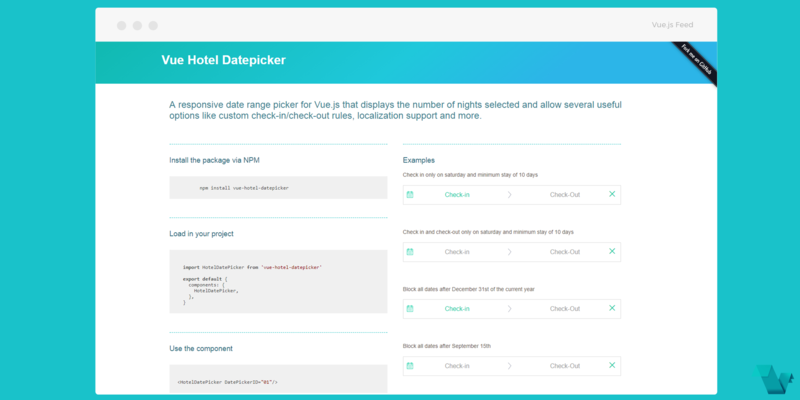 Let's say that you need a date picker, similar to the ones you find in flight or hotel booking websites, then you can use a Vue.js component to let users pick dates with support for specific criteria, based on Hotel Datepicker. It can display the number of nights selected and allow several useful options like custom check-in/check-out rules, localization support and more. Take a look at the Live Demo. Declare selected properties to set criteria like minimum nights required to select a range of dates or disabled days of the week. More about props which can be used are available here. The markup for the is fairly simple. Here we are setting rules for minimum nights required, maximum nights, and no ability to pick on a Sunday (assuming that users cannot book stuff on that day). 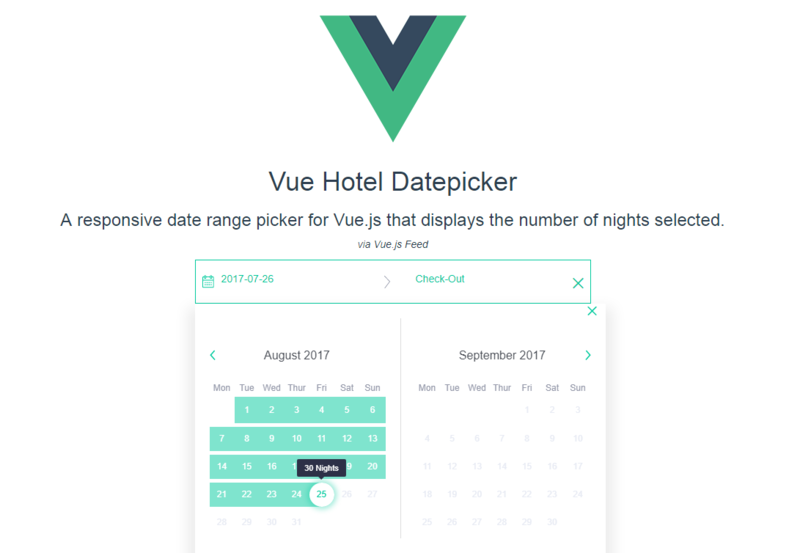 If you would like to find more about vue-hotel-datepicker, head to the project's repository on GitHub, where you will also find the source code.